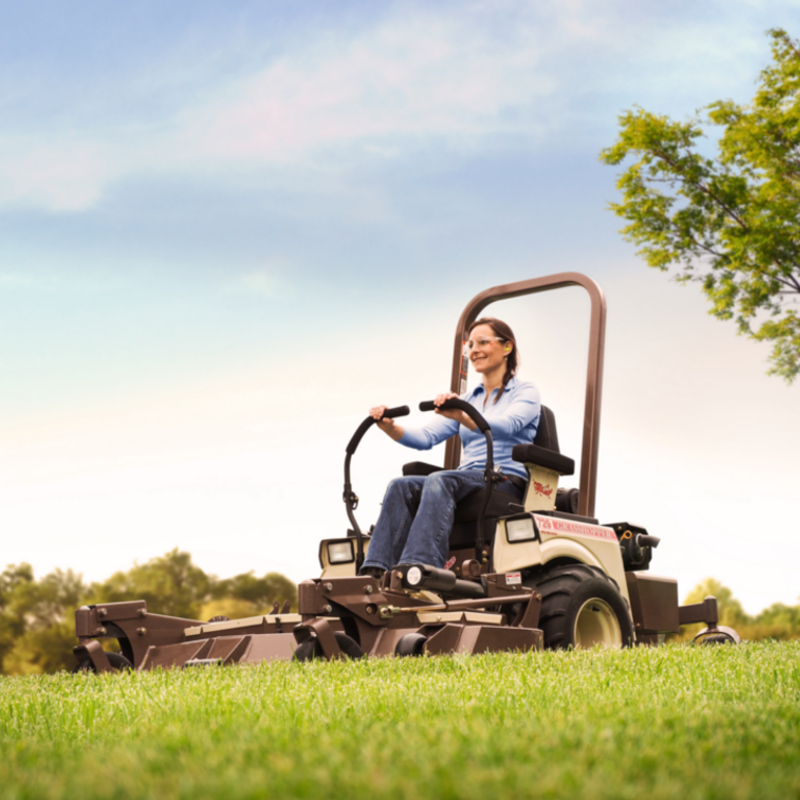 Take advantage of maximum productivity and versatility with the Grasshopper Model 729BT riding lawn mower. 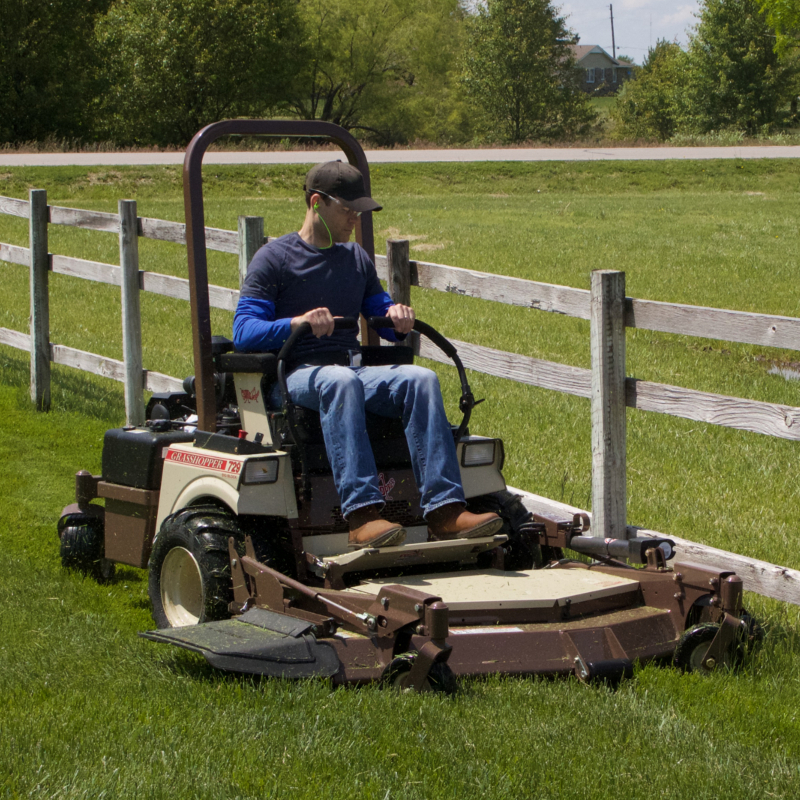 Out front mowing decks reach under low-hanging obstacles to reduce string trimming needs. 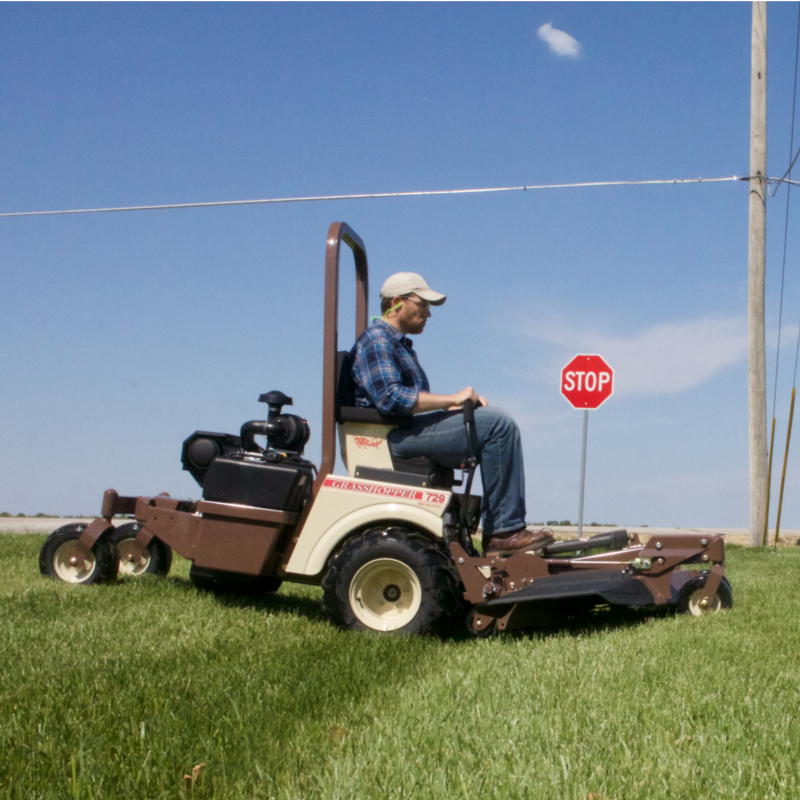 Take advantage of zero-turn maneuverability and powerful performance that meets the demands of rugged daily use, while providing superior operator comfort. Use the PowerFold® deck lift/electric height adjustment feature to raise the deck for cleaning the underside. Cutting decks also remove to add a variety of turf renovation and snow removal implements.